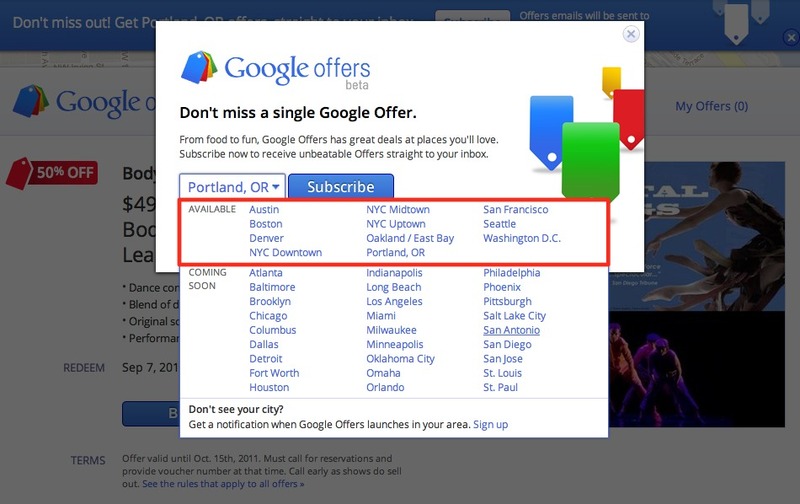 Back in April, Google Offers launched through three introductory cities: NYC, Portland and the Bay Area. Today, five new cities have been added to the list as a sign that this service is going no where any time soon. Deal shoppers in Austin, Boston, Denver, Seattle and the D.C. area can sign up and get to purchasing this very minute. We should also point out that Facebook axed their Deals department just days ago. Interesting to say the least. More info on each city’s initial offers. Sign up here.